WASH the rocket salad if it has not already been washed, then dry using a clean kitchen towel. SLICE open one lime using a small paring knife. HEAT up the large skillet om medium-high heat. ADD in the tortilla and bake for a few minutes, until slightly burnt. TURN around and bake until both sides are cooked well. 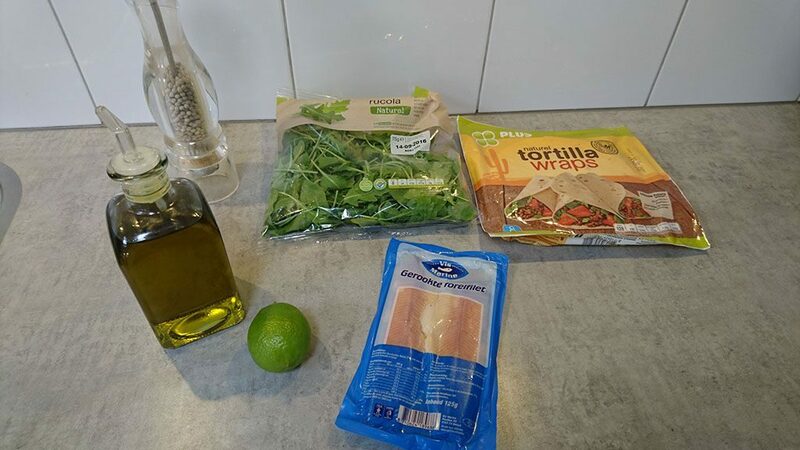 REMOVE the tortilla from the pan and divide a small handful rocket salad. 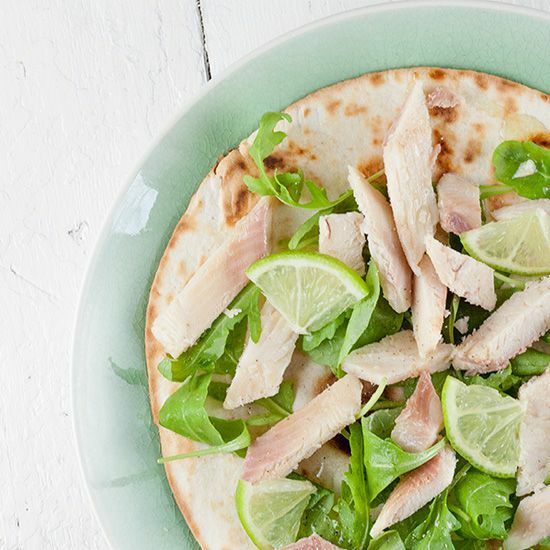 SLICE the smoked trout and crumble / divide it over the tortilla. ADD pepper, splash of olive oil and a squeeze of lemon juice. ROLL the tortilla up for easy eating. Enjoy! You can easily duplicate this recipe as many times as needed! 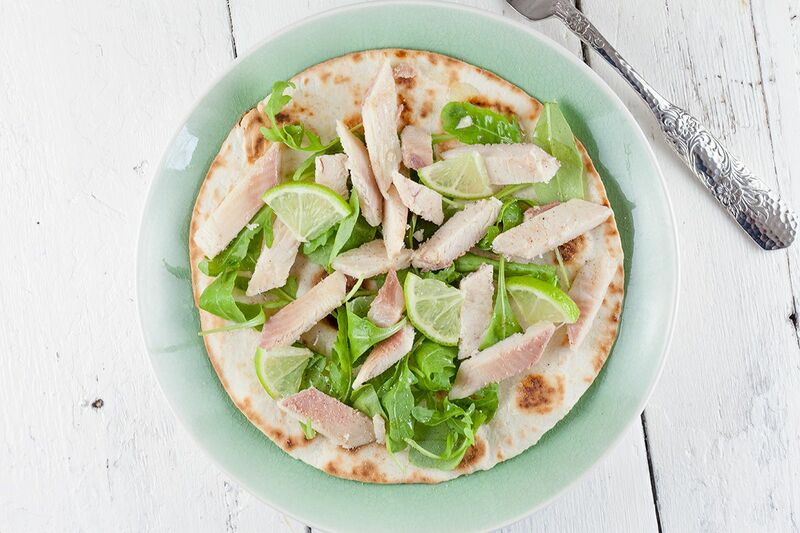 Looking for more tortilla recipes? Click here!